Crème brulée is one of my all time favourite desserts, and one that I will usually order when we're in France. At 16½ syns per 100g pot on the Slimming World plan, I shan't be having that in a hurry! 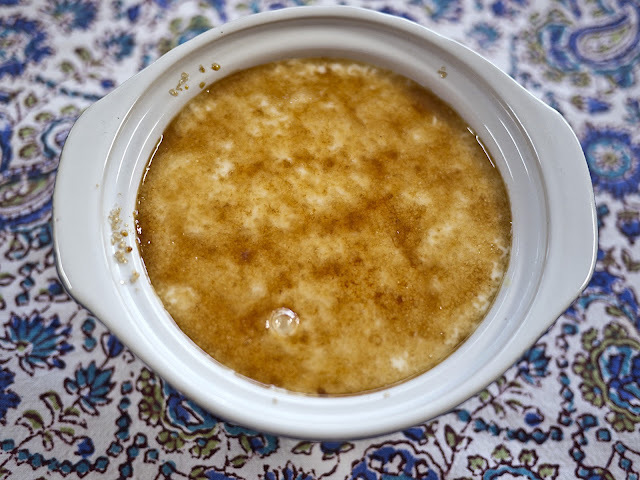 I have never been able to successfully make a really good version of it, as I have a hangup about making custard (I either end up taking it off the heat too early and it is too runny, or it ends up as scrambled egg). Anyway, this recipe is a Slimming World version of the famous dessert, using yogurt instead of custard, so no need to worry about curdling. Thinly slice the banana and mix with the banana and custard yogurt. Place in the bottom of three ramekin dishes. Top with the toffee yogurt and chill until serving. 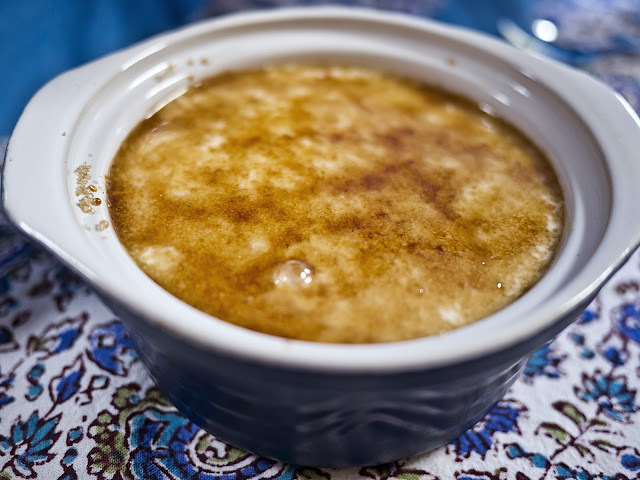 When ready, sprinkle a tablespoon of demerara sugar over each dish and, using a cook's blowtorch, caramelise the sugar. Leave to cool and set for a few minutes before serving.